Fortunately, resources are available for Kentuckians facing hunger. The Kentucky Association of Food Banks is a network of seven regional Feeding America Food Banks that together serve more than 1,000 local food pantries and shelters in every county in Kentucky. KAFB served more than 611,000 Kentuckians in 2015. KAFB’s Farms to Food Banks program has made it possible for Kentucky farmers to help alleviate hunger. Funded by a checkoff donation, private donations and an allocation of general fund dollars through the KDA, the program allows the KAFB to purchase discounted food products from farmers across the state – and accept donated produce – which is then distributed to struggling Kentuckians at no cost through area food pantries.  Kentucky farmers are even eligible to receive a state tax credit equal to 10 percent of the value of edible agricultural products they donate to food banks. “We are passionate about making food more accessible. It’s unacceptable that in a land with so many blessings that any person would go to bed hungry,” Sandberg says. Those in the agriculture industry realize they are part of the solution to helping feed more than 7 billion people in the world. Commissioner Quarles is making reducing hunger in Kentucky a priority during his time in office, and in 2016, he launched a first-of-its-kind Hunger Initiative that is bringing together farmers, businesses, charitable organizations, faith groups, community leaders, government entities and other Kentuckians to search for ways to fight hunger. “By bringing together the people who grow our food, sell our food and distribute our food, we hope to find novel approaches that could help alleviate the underlying issues of hunger in Kentucky,” Quarles says. The goal of the Hunger Initiative is to study sources of hunger, identify unique issues affecting different regions of the Commonwealth, and take inventory of resources related to hunger. The KDA is also working to educate farmers about the hunger issue facing Kentucky. If you or someone you know is dealing with food insecurity, there is help available. Visit kafb.organd click on “Need Food?” to locate a food pantry in your area. You can also text FOOD to 877-877, and you will get a text message reply with the address of a local meal program or community organization helping with hunger.